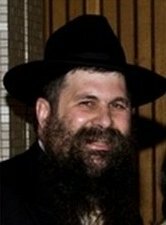 He moved to South Africa in 1986 to be the Director of Activities at Chabad House in Johannesburg (then situated in Yeoville). In 1988 he accepted the call of the Constantia Hebrew Congregation in the Cape Peninsula to become their spiritual leader. At the same time he also held the position of Vice-Principal and Head of Department of Jewish Studies at Herzlia Constantia Primary School (on whose campus the shul is located). He assumed the position of Rav of the Oxford Synagogue in 2000. Rabbi Chaikin is married to Rivky (née Bacher) of Johannesburg.